On December 7th around 1am KST, "Tannie" and "Yeontan" trended #1 worldwide on twitter. Tannie is the nickname of V's pet dog, Yeontan. This was due to the Naver V LIVE broadcasted on the BTS channel. The BTS member posted with the title, 'A present has arrived~!' on the V LIVE and communicated with fans to introduce Yeontan. Yeontan is known as BTS's 8th member to fans, and as fans wanted a broadcasting of Yeontan with V on V LIVE, the V LIVE was even more popular. On this broadcast, V showed Yeontan's toys, water bottle, clothes, etc. 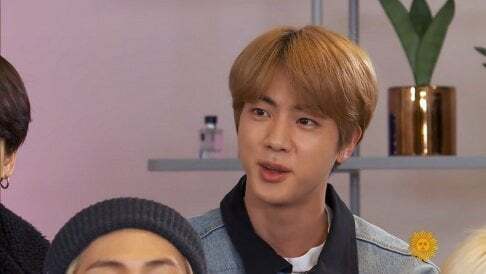 and showed his hike with Yeontan. He talked about Yeontan's personality and showed impersonations to fans. During the broadcast, one fan asked how he brought Yeontan into his home, to which V replied that he wanted a dog for half a year and researched about dogs for 6 months to bring Tannie home. On 'Just Happened', the dog trainer Kang Hyung Wook revealed that V left a deep impression on him because while others complained about their dog's misbehaviors, V asked him how he could prepare before adopting his dog. For the short 27 minutes, V gathered over approximately 3 million viewers and set a record. Aside from Korea, the V LIVE was the most watched video in 24 countries including the United States, China, Japan, Canada, Spain, Brazil, Mexico, Taiwan, Hong Kong, Thailand, and Indonesia. Even after the broadcast, fans from worldwide continued to watch the video of BTS member V and Yeontan, saying it's a present to fans. BTS is also set to perform on December 12th for MAMA Japan and 14th for MAMA Hongkong.